Long ago I abandoned Evernote as my primary means of note taking and capturing information. The app had become slow, bloated with unnecessary features and insecure. I moved to Apple Notes because it offered something much closer to what I really wanted: no thrills note taking and reliable syncing across my devices. At the time (two years ago), there really weren’t any other options available. That situation has drastically changed. Nowadays even Google has a note taking application. Feel free to browse one of the various Top 10 list blog posts outlining all the options, but I’d suggest looking no further than a relatively new app called Bear which just came out of a two year beta test. On the surface, Bear is a really beautiful note taking application. It’s only available for Mac and iOS for now, but that will soon change. It also cost $15 per year if you want to sync data across devices. Other than that it has no downsides. Instead of being totally absent of formatting tools like Apple Notes, it just a few really important features I need in my daily usage. 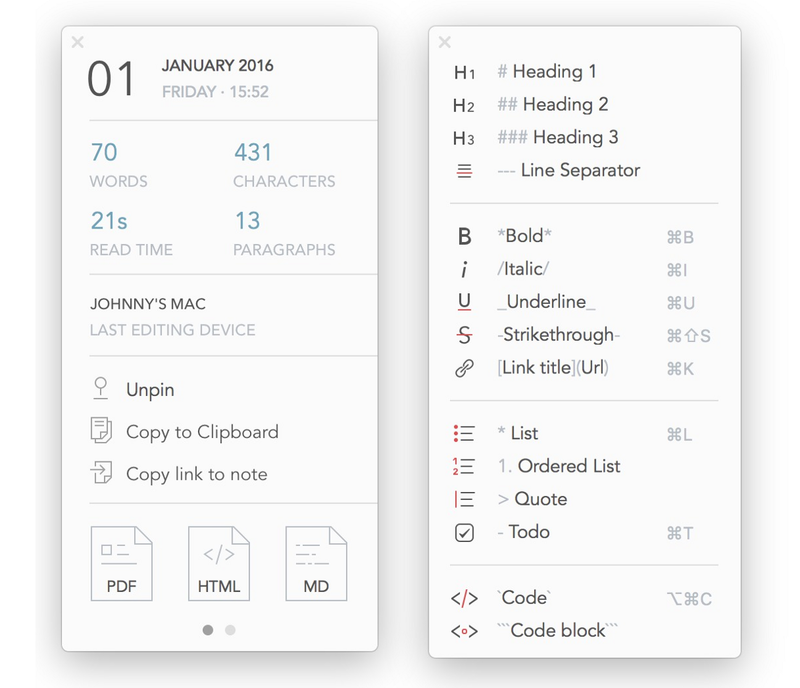 These include support for formatting code and Todo checkboxes. It can also do a few useful things like focus mode, word / character counts and themes with dark backgrounds for easier reading. Exporting data from Evernote or Apple Notes into Bear is also relatively easy. You don’t have to full on export all your data to try it out though. Download the app and start writing a bit, I’m sure you’ll be impressed.